Born and brought up in the Shetland Islands, Chris Stout has, over the last few years, become nationally and internationally recognised as one of the most exciting and dynamic fiddle players and composers of his generation. Whether as a solo artist, a member of Fiddlers Bid, leading his own quintet or as one half of his duo with long time musical associate Catriona McKay, Chris continues to innovate within traditional and contemporary musical circles, delivering performances which excite and inspire audiences all over the world. Chris’s restless ambition to collaborate and discover music from around the world has taken him to countless countries such as Brasil, Japan, Jordan, Algeria and Norway to name but a few. As well as working in traditional line-ups Chris has had very memorable performances with the B.B.C Scottish Symphony Orchestra, The Royal Scottish National Orchestra and the Singapore Chinese Orchestra. Having previously written music for both the main orchestras in Scotland Chris has been invited back to compose a new piece for the R.S.N.O. This will be premiered in Shetland in March 2012 and again in Glasgow later in the year. The formidable duo will take the music from this album to Canada next year and perform it with Symphony Nova Scotia in Halifax. A true highlight in the careers of the pair so far. Next year Chris is also looking forward to recording and releasing a brand new album with piper Finlay McDoanald as well as a much anticipated follow up to Chris Stout and Catriona McKay’s White Nights. Chris Stout has left few musical genres unexplored but his style remains grounded and a true musical ambassador to his native Shetland Islands. ‘Sail/Seol’ – A Tune of the North Atlantic’ – Newly commissioned work to be Premiered at NAFCo 2012 in Londonderry, Ireland. The piece will be written for a group of top class fiddle players from all over the north Atlantic regions. 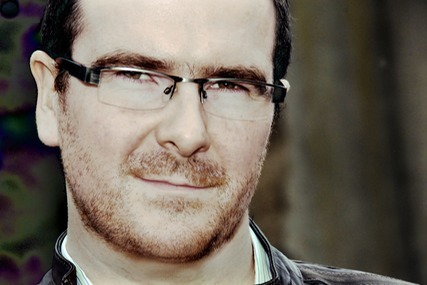 ‘DRIVE’ for Orchestra, Fiddle, Harp, Piano and Bohdran was commissioned in 2010 by Celtic Connections and performed by The Royal Scottish National Orchestra.